Born 27th December 1931, the boy from the backstreets of Swansea's humble Cwbbwrla district would go on to become one of the greatest footballers the world has ever seen. Along with Gary Speed, Ryan Giggs and now Gareth Bale, the Welsh football team has seen great players come and go, but none to the extent of the 'gentle giant' John Charles. Acknowledged as the greatest ever British all rounder - as he was equally adept at centre half and centre forward - Charles managed to break the Leeds United club scoring record with 42 goals in a season at a time when he was appearing at centre half in internationals for Wales.​ Charles had it all: immense strength, composure on the ball, and a thunderous finish. He was signed as a 16-year-old by Major Frank Buckley after being on the ground staff at his home town club, and made his United debut a year later in a friendly against the Queen of the South at Elland Road. It was a game that was to change his life forever. In the week prior, the visitors' forward Billy Houliston had ripped England apart in Scotland's 3-1 first post-war win at Wembley, but Charles managed to do what respected English internationals could not and marked Houliston completely out of the game. Houliston was quick to praise the young talent, labelling him "the best centre-half I've ever played against." Remembering The Gentle Giant, Welsh Football Legend John Charles, who passed away on this day in 2004. The Yorkshire Post that day also took note of the young Charles. Its correspondent at the time, Richard Ulyatt spoke of Charles as a great prospect - how right he was. A year later, he became Wales's youngest international when he played against Northern Ireland aged 18 years and 71 days. When he was moved to centre-forward, ​Leeds suddenly reaped the benefits of his prowess in and around the penalty area, scoring 26 goals in his first season there in during their 1952-53 campaign, and then the next season saw him achieve a record that has yet to be beaten at Elland Road, and conceivably never will be. He scored no less than 42 goals, the highest in one season by any Leeds player ever, and the best record in the country that year. A powerful header of the ball, just as many goals came from his forehead as his famous boots. Former team-mate Jack Charlton remembers just how good and acomplished an all round player he was. "John Charles was a team unto himself," he said. In 1956 Charles helped Leeds finally gain promotion to the old First Division, winning the Second Division ​Championship. It gave the brilliant Welshman the chance to test himself amongst the best centre-halves in the country, and for once people could compare him with the best strikers too. In that first season he was the First Division's top marksman with 38 goals and many said he would have found the net even more in a better team. At that time he started to attract the interest of Europe's top clubs, with ​Real Madrid, AC Milan and Juventus leading the chase. Leeds resisted for a year, but eventually, in August 1957, Charles signed for Juventus for £65,000, then a record transfer fee for a British player. Moving to the Italian league was supposed to be a great challenge for the Welsh forward, but again Charles emerged as a winner in everything he did for ​Juventus. During Charles's five years with Juventus, the "Old Lady" of Italian football won three ​Serie A Championships and lifted the Italian Cup twice. A Welsh icon, Charles helped Wales make it through to the 1958 World Cup quarter-finals, where they lost 1-0 to Brazil, a game in which he sadly took no part through injury. In total he played 38 times for Wales, scoring 15 goals, and was awarded the CBE in 2001. Sadly for Wales, Charles would only ever play in one World Cup game for The Dragons - a match at the 1958 World Cup where he scored the equaliser against an incredible Hungarian side. 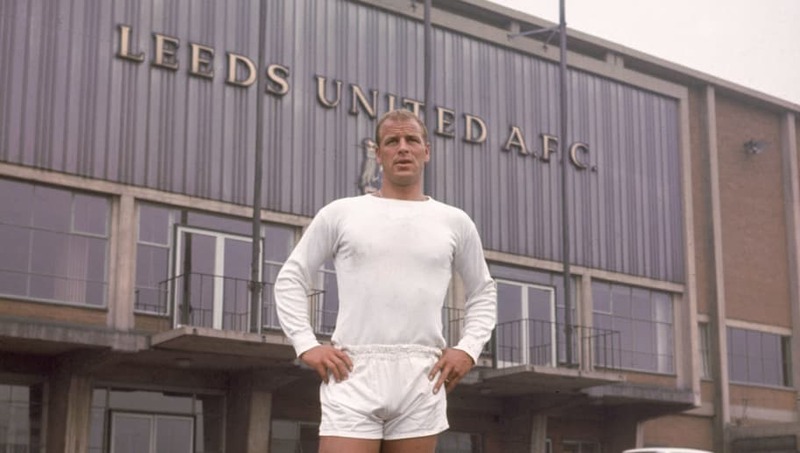 ​​After notching 108 goals in 155 appearances in Turin, in April 1962 Charles returned to Leeds. Sadly, he did not have the same impact as in his first spell at the club. He admitted that Leeds had grown into a better team during his absence, and he was no longer the star. He played just 11 games, scoring three goals, and in November departed once again for Italy, and attempted an Italian comeback with AS Roma, moving for £70,000, but the magic was missing and he returned to Cardiff City. Charles went on to play for AS Roma and ​Cardiff City, before finishing his career with non-league sides Hereford United and Merthyr Tydfil. The Welshman's ability to score wherever he went, as well as on the international stage, make Charles one of the game's greatest ever players. He sadly died in 2004, but his legacy lives on in the hearts of all Leeds and Juventus fans, as well as the entire nation of Wales. Despite only making one World Cup appearance for Wales, Charles' impact on Welsh football should be heralded, and his revolutionary ability is one of the greatest ever witnessed in the world of football.